India have just lost their first home series under the regime of Virat Kohli. After an unexpected T20I series loss, India will be looking to get back to winning ways in the ODI series starting on Saturday at Hyderabad. 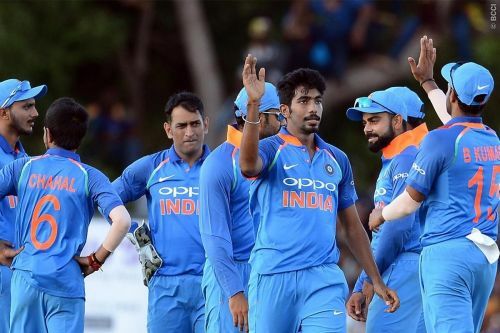 The team management will certainly hope to gain some momentum, as this would be the final ODI series for India before the World Cup 2019 in May. India announced a full strength squad for the ODI series with only 2 regular members - Bhuvneshwar Kumar (first two matches) and Hardik Pandya (whole series) missing from action. Pandya has been ruled out of action due to an injury and Bhuvneshwar has been rested for the first two matches. The usual suspects will reunite at the top of the order after Virat Kohli missed the last series. Shikhar Dhawan has not played a significant knock in recent times so he would like to make an impact in the upcoming series. 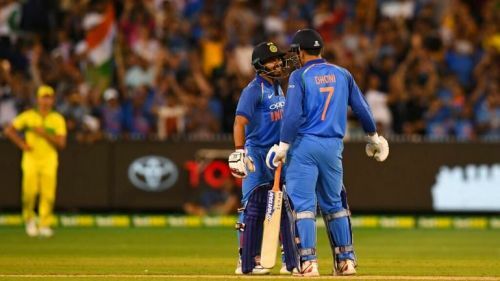 Rohit Sharma and Kohli would like to continue their dominance and get some more runs under their belt before the World Cup. KL Rahul could also get a look in as the reserve opener for the series. He might get a chance during the later phases of the series if India decide to rest either of the regular openers - the way they did in the T20I series. Ambati Rayudu will continue to play at the number 4 position and will be expected to replicate his performances from the previous series. MS Dhoni will most likely play at the number 5 position and will look to further reinvent his hitting abilities. Kedar Jadhav and Vijay Shankar will in all likelihood play as the all-rounders and are collectively expected to bowl the fifth bowler's quota of 10 overs. This will be the last chance for Shankar before the World Cup to impress the team management and book his spot in the squad. India currently possess one of the best ODI bowling line-ups in the world. Even in the absence of Bhuvneshwar Kumar and Hardik Pandya, India's bowling line-up looks formidable. The resurgence of Mohammed Shami in the white ball cricket just before the World Cup is a very big positive for the Men in Blue. 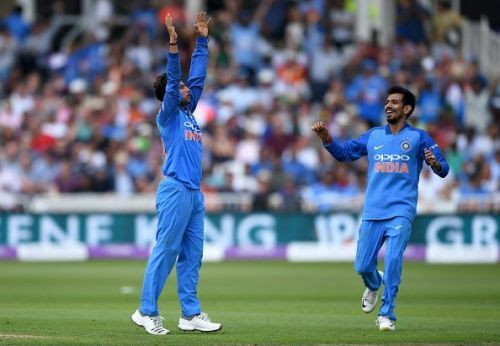 Kuldeep Yadav and Yuzvendra Chahal are expected to continue their wicket-taking routine in the middle overs. Jasprit Bumrah and Shami will certainly be the two frontline pacers for at least first two ODIs. Once Bhuvneshwar comes back after the second ODI, then there will be a tussle for a place between Shami and Kumar.